A-Z Transcription Service, Inc. is a USA based medical transcription company that was founded in 1992 with 22 years of experience in providing customers with personal service, quality transcription, and competitive pricing. We are located in Jasper, Georgia, a short distance from metro Atlanta. We excel in dependable service at an affordable price and we take pride in providing the “personal touch” to our clients that is based on responsible experienced transcriptionists, dedicated information technology professionals with administrative support and top management. No extra charge for STAT dictation. Commitment to complete customer satisfaction and prompt personal service. All completed documents encrypted with HIPAA approved ZIXMail encryption software. Use of easy call-in dictation system or hand-held device 24 hours a day/7 days a week/365 days a year. All work proofed by Quality Assurance Department. Capability to interface with most electronic medical record systems. 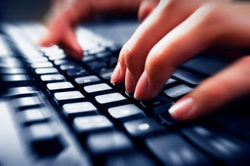 Transcription services private, state and federal agencies.